Hi, I'm enjoying my new 6.1 plus, apart from one huge drawback. Bluetooth doesn't work with my car's infotainment system. I'm enjoying my new 6.1 plus, apart from one huge drawback. Bluetooth doesn't work with my car's infotainment system. It pairs ok, but when the device connects, the phone functionally doesn't work in my car. 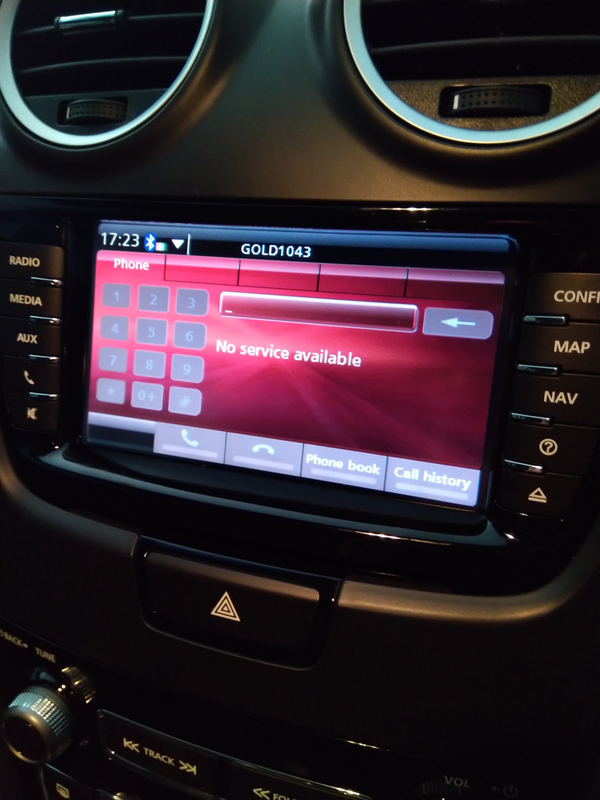 If I press the phone button in the car I get "service unavailable". No contacts are shared and nothing works. This is the only phone to have had this issue since I've had this car. I've previously had an iPhone 4, HTC desire, numerous Samsung galaxy phones, an LG G2 and G3, and Xiaomi Redmi note 4 and 5 pro, all with various Android builds. ALL have worked perfectly until this point. I just paired up my old LG G3 and it works without issue. My partner's Xiaomi is also working without issue. The problem is with this Nokia 6.1 plus on Android Pie. I require a fix immediately as I can't be on the road for my job without Bluetooth voice connectivity. Yes, i performed the December update last night, issue is present today. I've performed a full factory reset and re-paired and the issue is still present. Hop on Google, the problem is widespread on any Android one device. Turn on Bluetooth>Long press bluetooth icon>Previously connected devices>Car Infotainment system name settings>Switch on "Contact Sharing"&"Phone calls". See the below screenshot you will find a menu like this. That doesn't help. I've tried every software fix out there, even a full factory reset, the issue persists. I just paired my old LG G3 and partner's Xiaomi and made calls with no problems. This is a problem with either Nokia's implementation of Bluetooth, or an issue with the Android 9 OS core Bluetooth functionality, as a simple Google search reveals dozens of simlar problems on stock Android devices. My phone pairs, but not all functionality works. It only displays battery level, no signal level, no phone book transfer works, no calls are audible. It's not the Bluetooth in the car, as it works with every device except this one. Nokia/Google need to get this sorted. Yes you are correct I have tried it into my friends car(Creta) the same thing happened. Google has also indicated that There are many a functions which have been internally changed in android pie. Hopefully we get a fix in the next update. HMD/Nokia are aware of the problem. I've also tried safe mode, didn't work. Pairing and sharing works until audio needs to go across the link, then it breaks. Very strange. I can confirm Nokia hasn't implemented the fix supplied by Google to other stock devices. Bluetooth problems are still present. My partner's Xiaomi, also upgraded to pie, doesn't have the problems described. Nokia, pull your finger out and fix a fundamental problem with use of the phone. Bluetooth is still 100% forked after Marxh 2019 update. I'm trying to get a return organised with the retailer and I'll buy a Xiaomi or an iPhone... Something that works. Nokia, get your s**t together.